First half results (18 Jan) from Henderson Smaller Companies Investment Trust (HSL) reveal a rare period of underperformance. 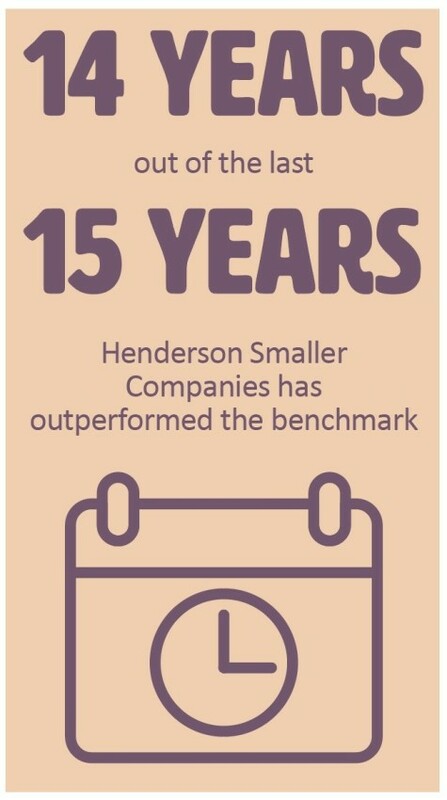 But manager Neil Hermon, who has outperformed the benchmark in 14 of the past 15 financial years, insists his universe ‘continues to throw up exciting growth opportunities’ and M&A ‘remains a supportive feature’. For the six months ended 30 November, the trust delivered a net asset value (NAV) total return of -15% versus a 10.1% decline for the Numis Smaller Companies benchmark. Albeit reduced during the period, ‘gearing was a negative contributor to performance as markets fell but has been a significant positive over the near-16 years I have managed the investment portfolio’, explains Hermon. Performance was also hurt by the likes of flooring maker Victoria (VCP:AIM), sports footwear seller Footasylum (FOOT:AIM) and housebuilder Bellway (BWY). New portfolio additions include pharma products play Alliance Pharma (APH:AIM), financial services software firm Microgen (MCGN) and subsea systems protection products play Tekmar (TGP:AIM). ‘Although M&A has been subdued in 2018, there is an expectation that once there is clarity over Brexit there will be increased interest in UK corporates from abroad, given the relatively low valuation of UK equities and a weak currency’, insists Hermon, who was able to raise the first half dividend 8.3% to 6.5p thanks to continuing strong dividend growth from his portfolio. Can the sun rise on Japanese stocks?